Best things are the simple things. But what if your are an enthusiastic explorer for whom travelling is breathing? Then we have an answer for you. Do not waste any more minute and book activities via Klook. With a precisely selected collection of activities out and around Hong Kong Klook makes you rest one of a kind. For family escape, book Klook Hong Kong Disneyland experience, for adrenaline-addicted there is a cliff ziplining. Moreover, with Klook HK airport express be easily transported to any part of the city with cool cars like Tesla. Don’t hesitate to open a new world of travelling and activities around beloved Asia. There is so much to see and do. And ILoveBargain Hong Kong team will take care of finding the best Klook HK promo codes and offers for you. Valid for an already existing customer. Offer valid for 3 Days Rental. Simply apply the given promo code at checkout with any purchase to enjoy. To enjoy this deal you need to spend a minimum HK$1,500. Some exclusion will apply to this offer. To get this deal, spend HK1,000 or more on booking. Some exclusions may apply. To enjoy the deal you need to apply the promo code. Offer valid for new members only. To enjoy an offer simply apply the coupon code at the time of payment during the promotion period. Valid for new users. Apply promo code at checkout. Valid for bookings paid with VIsa cards. Some card exclusions may apply. Offer is valid for new users. Excluding Universal Studio Japan, JR Pass, Tokyo Disney Land. Need to enter the prom code. Offer is valid on the minimum $1,111 purchase. Apply coupon code at the checkout. Offer valid for Hong Kong activities, spa and dining deals. To enjoy an offer apply coupon code at time of payment. 1. First, you need to choose the destination and activity you’d like to try. Set the date and number of travellers. Press "Add to Cart". 2. Log in or Sign up in order to continue. Use Facebook or Wechat to log in, if you wish to. 3. Hit the Cart icon and then click on the "Go to Cart” button. 4. Look through the booking information and click on the "Pay Now". As the next page opens, under the step 3, you will notice the "Use promo code” sign. 5. Check the box next to this sign. You will see the special field. 6. Type or paste the promo code into this field and press the “Ok” button. 7. Write in all the required information. Press the “Pay Now” button to complete the booking. You are probably here for a 優惠碼 (which stands for discount), while we will get to that later, let’s talk about why this amazing travel agency is the ultimate best. Even if you remove the promo code factor, Klook is still awesome. It offers a simple way to discover the fun attractions in your area. Honestly, if you think your city or town is boring, it’s because someone has been filling you with lies, and Klook needs to become your new friend. From Hong Kong’s Ocean Park, Tokyo’s Joypolis, alongside Shanghai’s Oriental Pearl Tower to Paris Montmartre, as wells as Allianz Arena in Munich, there are so many places to discover both nearby and far-far away with Klook. 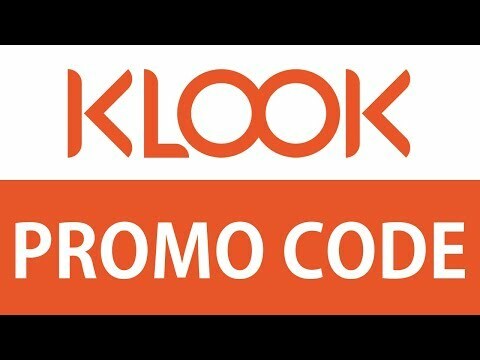 What Kinds of Klook Discount Code Will Suit me? As mentioned above, certain discount code fit into your bank-faithfulness benefits like a code that makes a humongous 75% off bookings made with any DBS and Hang Send card. Another is an 8% reduction in sightseeing payments for those using a Citi Card. On the other hand, there are offers that are destination specific. A perfect example is a fabulous 5% money back for snow activities in japan vouchers together with Korea tourist transportation. Nevertheless, there are certain coupons that “break-in” on sights, together with banks like 10% off all activities and travels. We have simplified knowing what is for you as well as what is not, by adding summarized information, which you will see in detail after clicking on the on each code. The field for availing a coupon is on the checkout page. Some can be earned by referring a friend. Mostly, codes expire on the 31st of December of the year after the year you obtained the code, confused? This is what we are trying to say, a code obtained anytime in 2018 will be valid until December 31, 2019. To miss out on nothing, register on the ILoveBargain Hong Kong page, and we promise to keep you in the money-saving alert loop. Traveling is amazing and with Klook promo code it is profitable as well. Learn more about coupon types to get maximum savings on favourite activities.